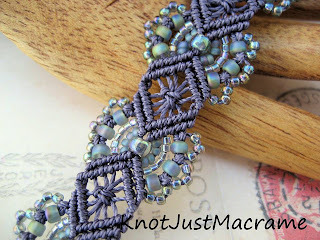 Do you micro macrame? No? Why NOT? Yes? Then no wonder - it's fabulous!! I just love how it looks, and the lush colors the cords come in... drool... I recently started looking into how this art is worked. It turns out, for someone like me, it isn't as complicated as I was positive it was. 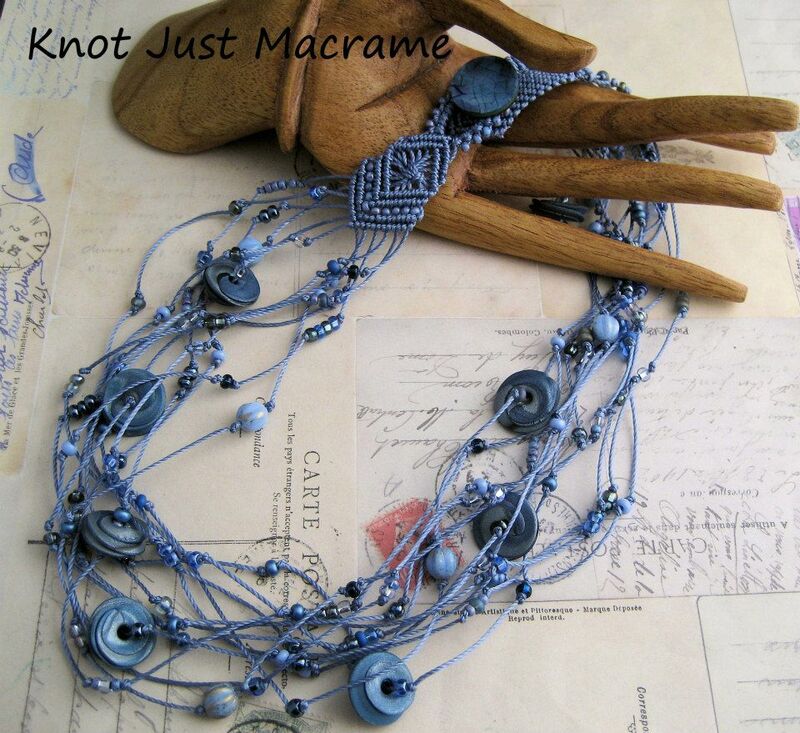 If you can follow a beading pattern, you can follow a macrame pattern. I mean, does this not inspire you?! I gasped when I saw it - I looooove it! And then there is this fantastic Hydrangeas bracelet!! But it felt like it was too complex for me; I've never made so much as a friendship bracelet. Then, Sherri came out with her new video tutorials on Craft Edu. Not only does she have a fabulous beginner's video (FREE!) wherein she gives you tips and tricks and helpful product suggestions and a toolkit list, she has a wrap bracelet tutorial that shows you almost all of the most common knots! 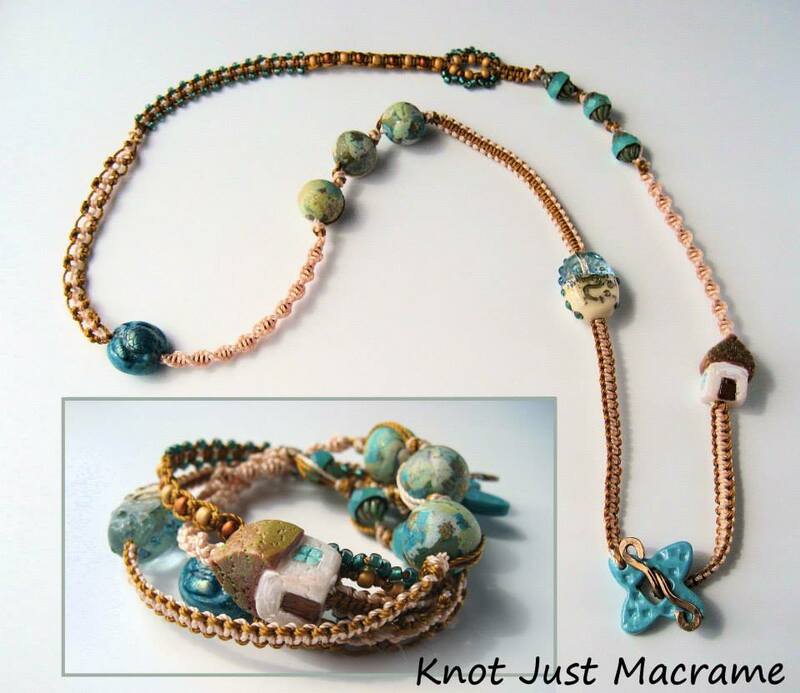 And not only does she use seed beads, but she uses some really pretty focal beads in there as well. Sherri and I had been talking back and forth a little, because I was so nervous about trying it, and then I found out that I didn't have everything I needed to make one. Focal beads, yes lots. But the cord was another matter, and even though I thought I had size 6 beads... um, maybe not so many. And no board to tack things to. Being the lovely lady she is, Sherri told me I could make up a temporary board by sticking some cork board (I had!) to a clipboard (I had!) and that she would send me some cording so I could try it out, and see if I liked micro macrame. Not only did she send me cords, she sent me enough to make TWO wrap bracelets, and a beauteous selection of size 6 seed beads as well. 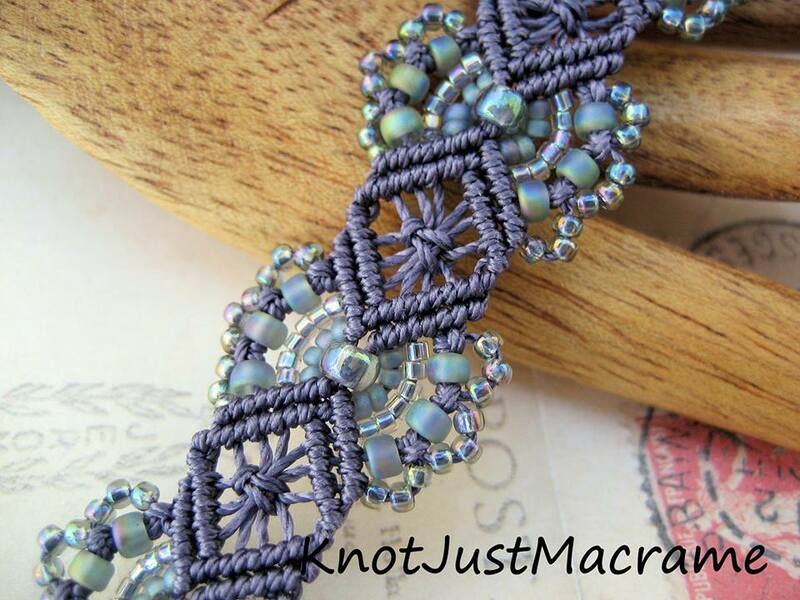 Then, to top it all off, she offered me her Wrap Bracelet tutorial free! Did I say Sherri was wonderful??! I started off well, and took some in progress photos, but then I got so into it I forgot to take any more, lol! Here are the ones I managed to take when I dragged myself away from knotting. (I was SO excited when I made that first set of square knots!!!) 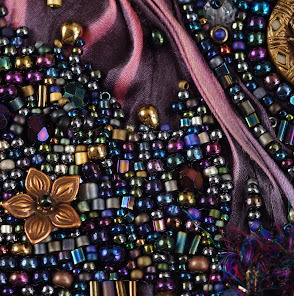 I asked Sherri if I could add beads in the middle of the square knots, and she said I could add beads anywhere I wanted, which of course is a fabulous and fantastic thing to say to a beader, and I found myself adding beads in lots of places. I found out that I had to work really hard on overhand knots, which I thought would be the easiest. They did not want to lie neatly and be good for me, and I re did each of them about four times. I got better at it nearer the end of the bracelet. I adored spiralling. I wasn't perfect at it (you can see how wonky it started out), but I think I got the hang of it pretty well, and I like how it looks nearer the end of the section. When I got to the next section of square knots, I went a little nuts with the beads. I had a TON of fun with this section. I think it's my favorite part. I couldn't find a copper clasp I liked with this, so for now I have it tied with some fun and funky fiber - and I may leave it there, as it looks pretty cool. Here are the final photos by Sherwood. I am sooooo late with this blog post! Huge apologies to my wonderful friend as I meant to write this out two whole weeks ago! Life has been getting in the way and I'm a catch as catch can blogger at the best of times.